Get back on track with helpful, practical guidance and possibly other options that could help you. One of the first things we find is useful in helping people deal with their student debt is creating a monthly spending plan: a budget. We can help you do this – and here’s why this is so important. You probably need to free up some money to be able to afford to repay your debt while keeping up with the rest of your bills. If you are spending exactly what you earn – or maybe a bit more than you earn – then it’s going to be really hard to repay your debt. By letting a budgeting expert help you put together a budget, you can find places here and there to optimize your spending so that at the end of the day, you will have actually freed up enough money to make good headway at paying down your student debt plus keep up your payments on any other debt you might have. Do you want to buy a home? Do you want to buy a vehicle or maybe travel? Do you have financial goals, or do you want to start by working on your credit? 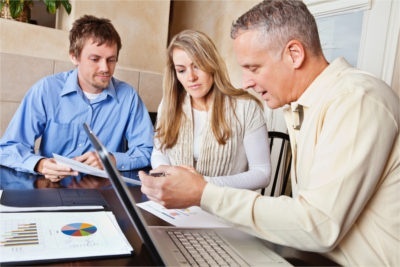 Whatever your financial goals or objectives are, we can help you put together a plan to start making meaningful progress toward them. If credit issues are holding you back from moving forward, we can help you work through them and give you suggestions and tips for how to improve your credit. 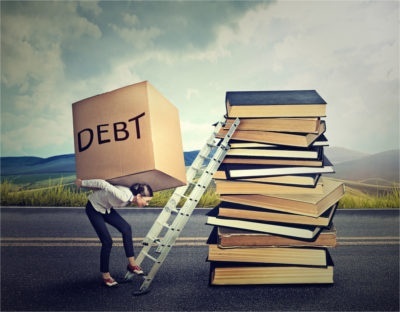 After one of our Credit Counsellors helps you put together a solid budget and gives you some tips and guidance, you may feel that you can now tackle your student debt on your own. If that’s the case, then that’s fantastic. However, if you have other debts that you're struggling to pay too, then you might also want to explore other options that could possibly help you consolidate your debt and pay it off more quickly. Consolidation options can include a consolidation loan, debt settlement, Debt Management Program, Consumer Proposal, or other options. To take a good look into all your options, see what your next best steps are, and then see if there is anything else that might be able to help you, give us a call and make an appointment to speak with one of our Credit Counsellors. You can meet with one either in person at one of our offices or over the phone if that’s more convenient for you. They’ll help you put together a budget, explore all your options, and then help you create a plan to get your finances back on track as quickly as possible. Appointments with our Counsellors are always free, completely confidential, and non-judgmental. We’re simply here to help you. Give us a call at 1-855-232-4888.